Death Valley has long been on my bucket list. I was recently given an opportunity to explore the park for six days, and wanted to share some images I made! As the name might suggest, Death Valley is a rather inhospitable place. The park contains the lowest place in North America (Badwater Basin, 278 feet below sea level) along with several peaks over 10,000 feet. The lower elevation portions of the park routinely get over 120 degrees in the height of the summer, and are extremely dry, due to the rain shadow effect from the Sierras to the west. So, in other words, it's hot, dry, and dusty - sounds like my typical recipe for a photo trip! Despite the extreme climate, Death Valley contains a remarkable landscape with incredible diversity. The three standout features for me were sand dunes, salt flats, and badlands. I spent almost all of my time along CA-190, the main road the most visitors use, and even after six days I felt there was still more to explore. Unfortunately I didn't have time to make it out to the Racetrack or any of the other backcountry destinations on this trip, so those will have to wait for another day! Death Valley is a phenomenal place for dune photography. I spent all of my dune time at the Mesquite Flat Sand Dunes, which is somewhat paradoxical for many photographers as they are so close to the road, and get tracked out quickly. I visited on several sessions, and found that through patience and exploration I was able to fine pristine dunes. It also helped that I visited after 60+ mph winds tore through the park, which did a great job cleaning up the sand! I intentionally shot nearly all of my dune photos for black and white, which is not something I usually do, but I really felt like the subject matter dictated it. 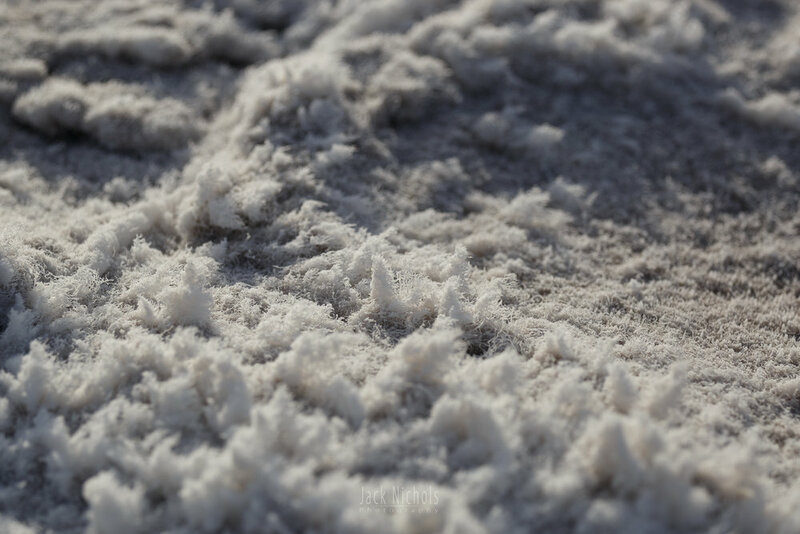 The variety of salt flats at Death Valley is simply astounding. Most people only visit Badwater Basin, and it is beautiful, but there are so many other places to explore too. I really enjoyed spending time on the west side of Badwater, off of West Side Road, but also enjoyed finding the drier flat playas elsewhere in the park. The first full day I was there, the park was hit with 60+ mph winds that caused a sandstorm that lasted for several hours. I managed to get stuck in Stovepipe Wells and had to wait several hours for the road back to Furnace Creek to open. The scenes looked like something out of Mad Max or Interstellar. I've been through a lot of inclement weather, but this was a new one for me. The badlands in Death Valley were really excellent, especially around Twenty Mule Team Canyon. It seems that a lot of visitors overlook this place, but it's well worth the trip, especially before sunrise when the badlands are at their most colorful. 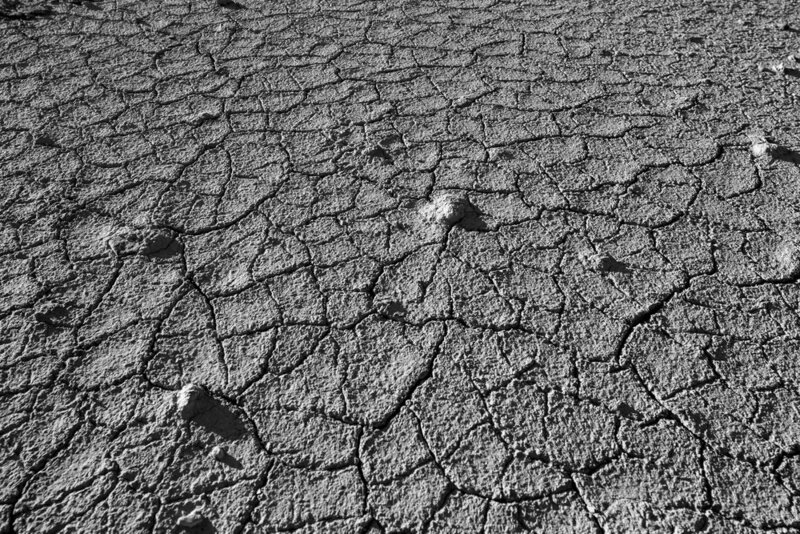 I also really enjoyed the badlands during the day, when the harsh shadows made for some interesting black and whites. 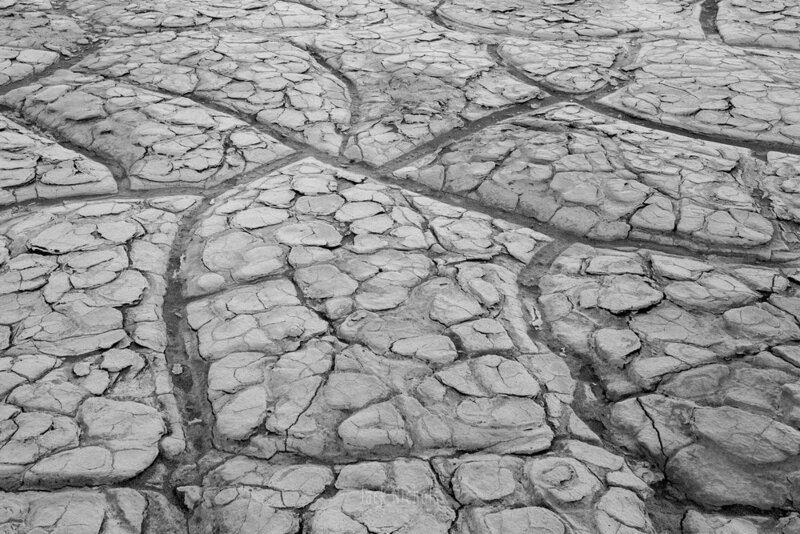 Death Valley is an abstract photographer's paradise. I made a point of photographing intimate views of the salt flats and landscape I encountered, and was stunned at the variety. Some of the photos in this section were shot only yards apart, yet they look like they are from a different planet. Last but not least, there are some pretty great views in Death Valley. I explored Aguereberry Point, but liked the view from Dante's View a lot better. 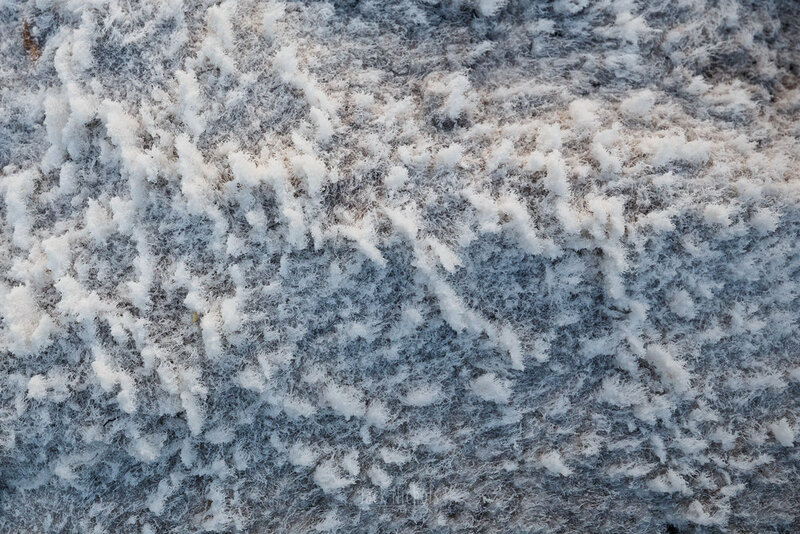 Besides the grandness of the view, it also provides a great vantage point on top of Badwater Basin, which makes for some wonderful abstract opportunities! I hope you enjoyed perusing the collection of photos I've shared above. If you enjoyed this post, please share it with your friends!